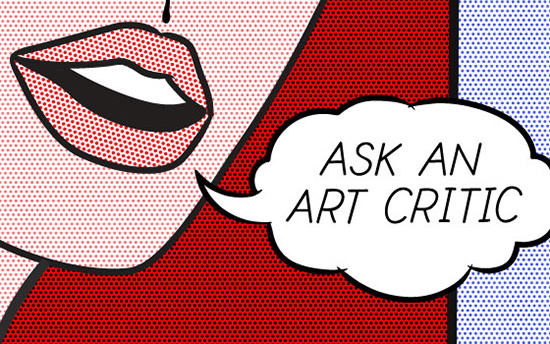 In these challenging times for publishers, journalists and reviewers, it’s encouraging to see UNSW School of the Arts & Media offering a new one-semester intensive course, Reviewing the Arts, which includes consideration of the role of the critic in the digital era. While the future of quality criticism in a mutating mediascape is uncertain and payments to reviewers diminish, new platforms and innovative models for criticism will emerge. In the meantime, such a course can at the very least help sustain the artform that is reviewing. 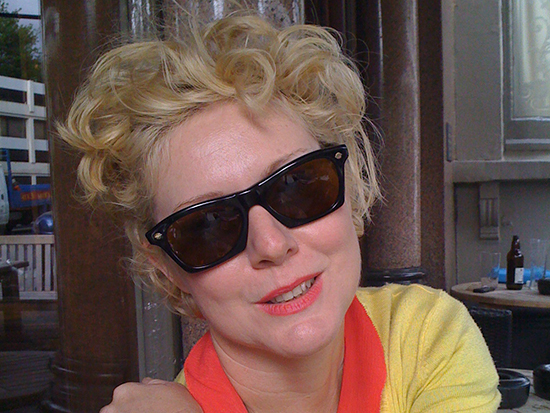 The course has been devised by Senior Lecturer Dr Erin Brannigan who has written extensively for RealTime, wrote Dancefilm: Choreography and the Moving Image (Oxford University Press, New York, 2011) and co-edited, with Virginia Baxter, Bodies of Thought: 12 Australian Choreographers (RealTime & Wakefield Press, 2014). She is currently conducting research towards a book on dance and the visual arts. Brannigan’s extensive writing career and depth and breadth of arts knowledge as well as engagement with the practicalities of dance film curation for film festivals (she was founding director of Reeldance in 1999) make her an ideal teacher in this field. The course involves studying 20th and 21st century arts journalism and coming to understand various modes and styles. There are any number of review formulae; we all recognise the standard ones. Brannigan says she adapted a set of formulae developed by guest lecturer Sacha Molitorisz “when he was having to write short, punchy pieces for Sydney Morning Herald’s Metro for many years. They’re a very good starting point to thinking about what makes a good review.” At the other end of the spectrum, the course includes Virginia Woolf, Gilles Deleuze (his fascinating little book on Francis Bacon) and the literary taste-determiner of the moment, James Wood. The course’s practical approach entails “seminars of 90 minutes each with writing exercises in the first half-hour to unlock new approaches, new voices.” Brannigan thinks that descriptive writing is a good way into developing quality writing: “it forces students to be specific and to think beyond clichés.” She adds that it also encourages them to be critical about their writing. In her writing workshop at Melbourne’s Dancehouse earlier this year, leading American dance reviewer Deborah Jowitt likewise emphasised the importance of description as fundamental to writing criticism. Brannigan tells me that Reviewing the Arts attracted 40 students, “a good number for a first time course. It has potential but I don’t want it to grow too huge because I like the intimacy of the writing workshops and being able to be across everybody. If it attracts Media students, we’ll look at including audio and video reviewing.” We end the interview concurring that specialised artform and genre knowledge is vital to reviewing but that looking beyond one’s niche is critical, and that’s what this course offers. Doing a course in art reviewing not only broadens horizons. 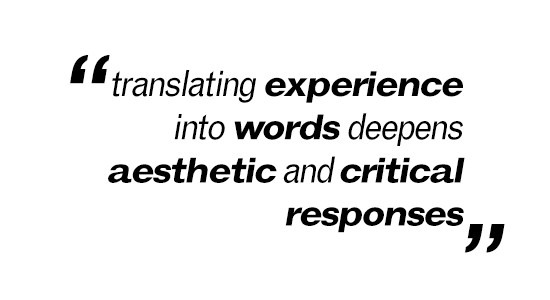 The act of translation from experience into words for an audience of readers deepens aesthetic and critical responses, as any experienced reviewer will attest. Not every student will become a reviewer, but as the course description puts it, “Reviewing the Arts supports those of you who may find yourselves in arts administrative and freelance/portfolio careers where writing for and about the arts plays a central role.” I’d like to think that the course will generate new reviewers and, in the long-term, new ways and kinds of reviewing. Read about Dr Erin Brannigan here.